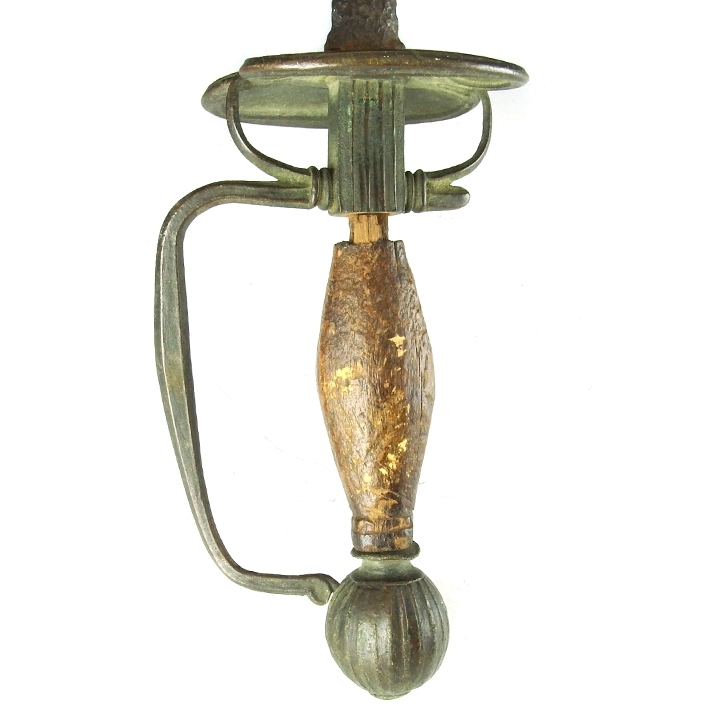 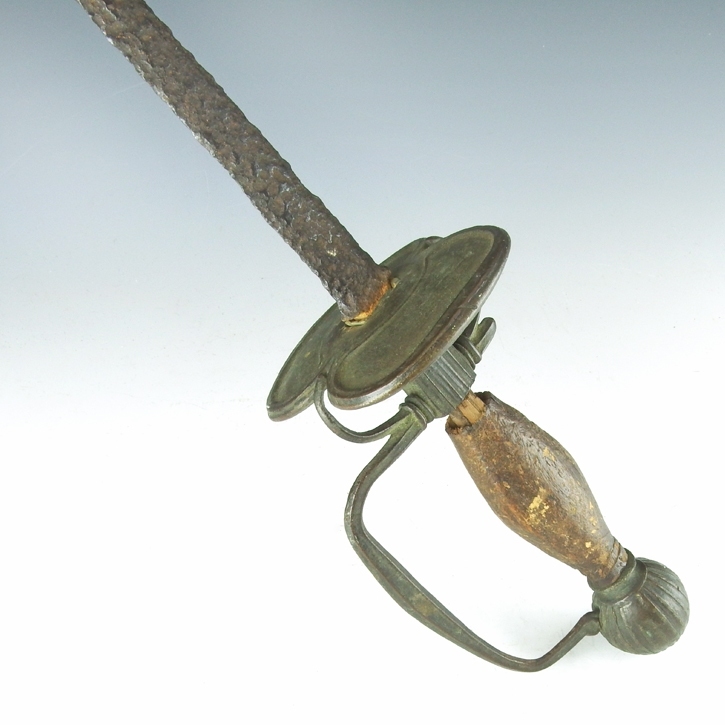 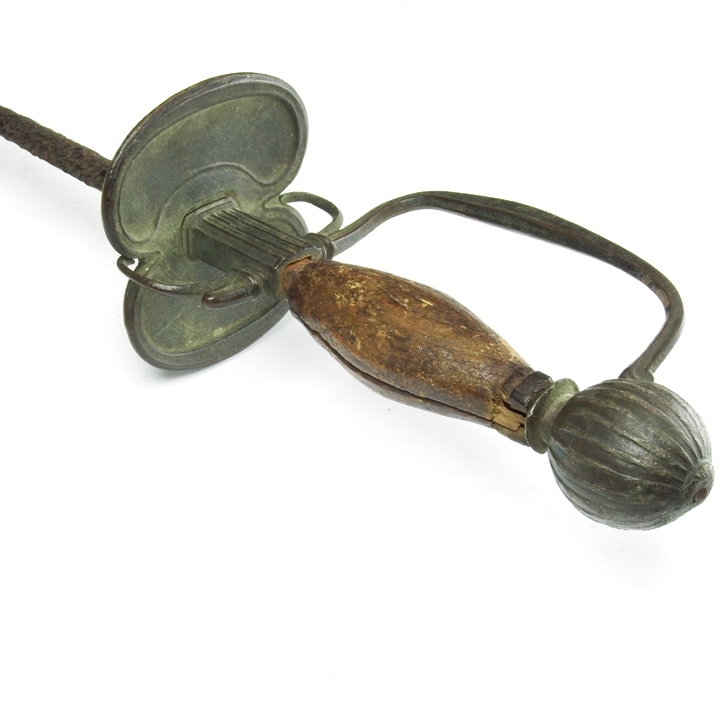 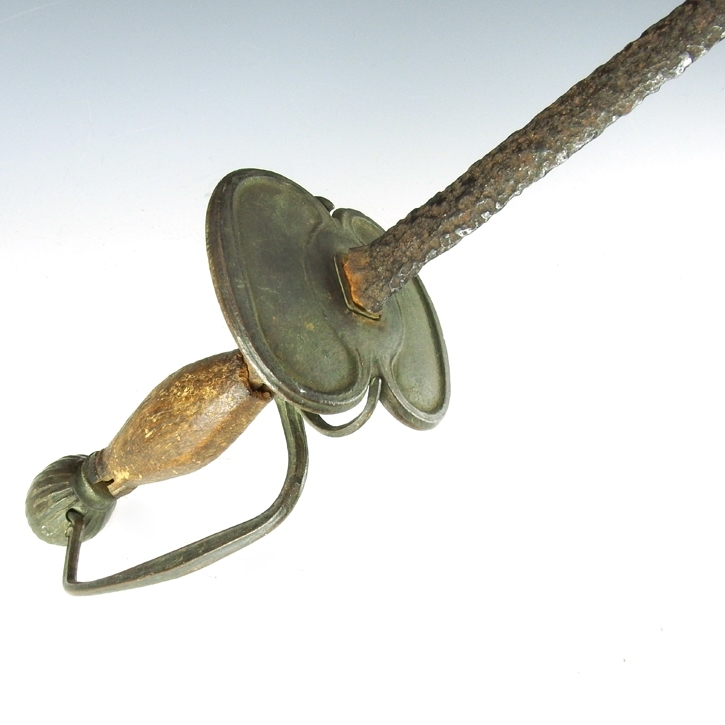 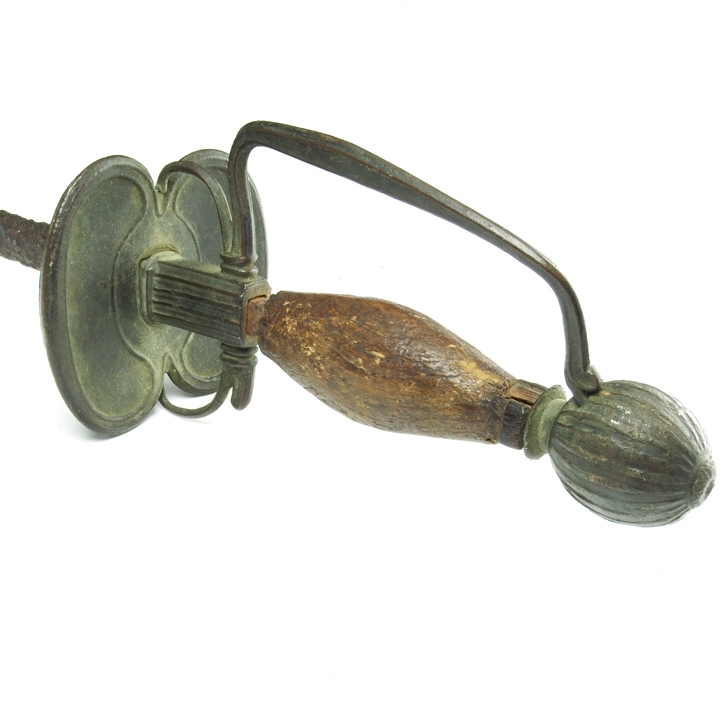 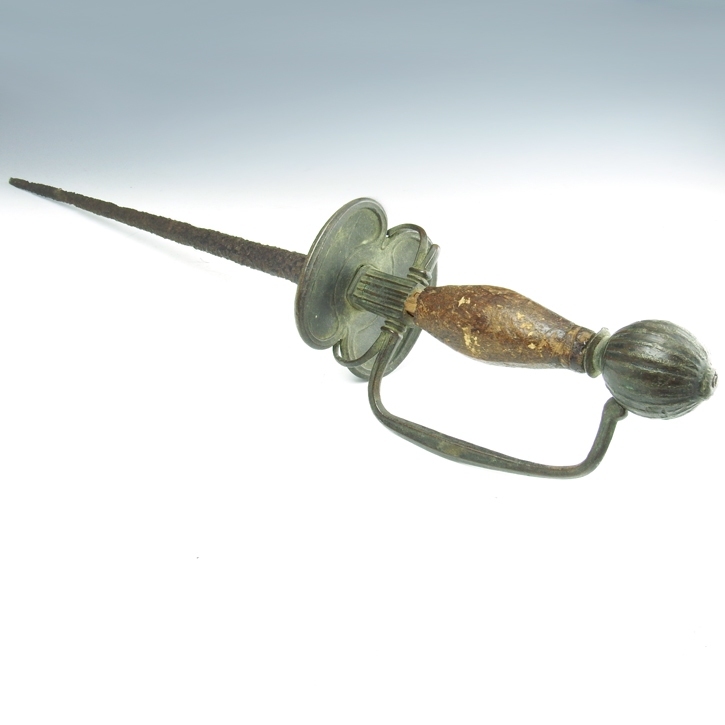 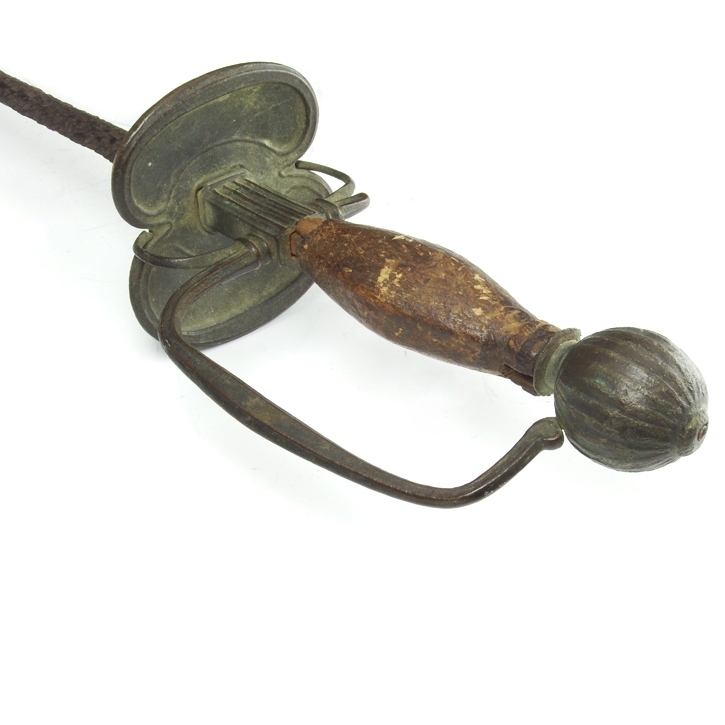 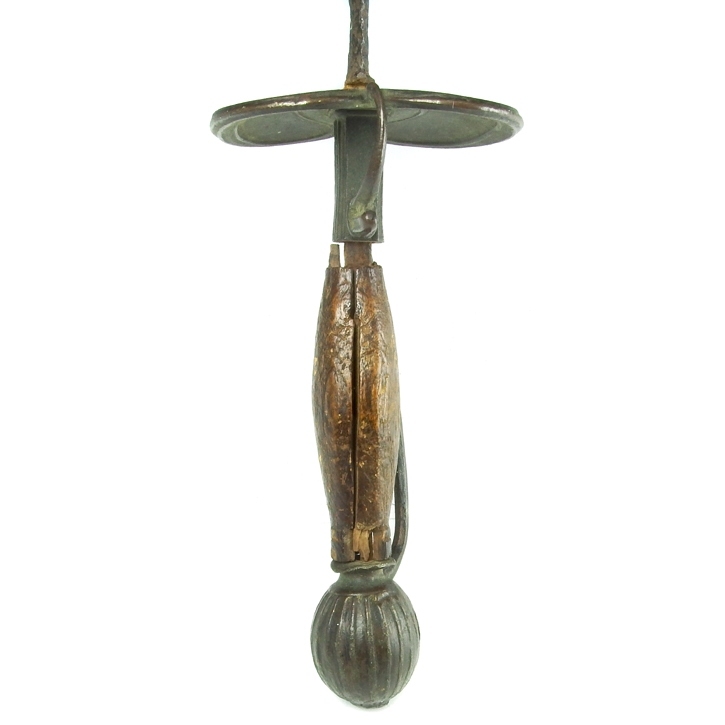 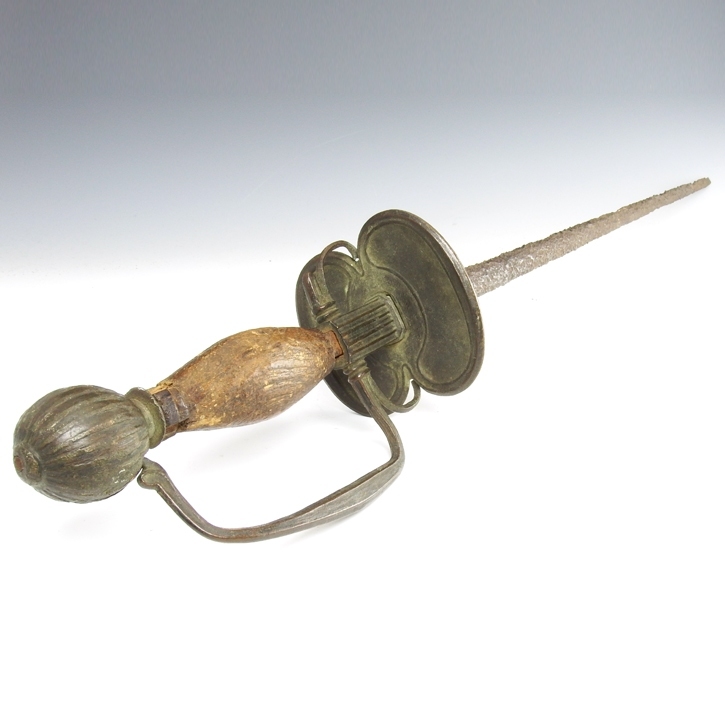 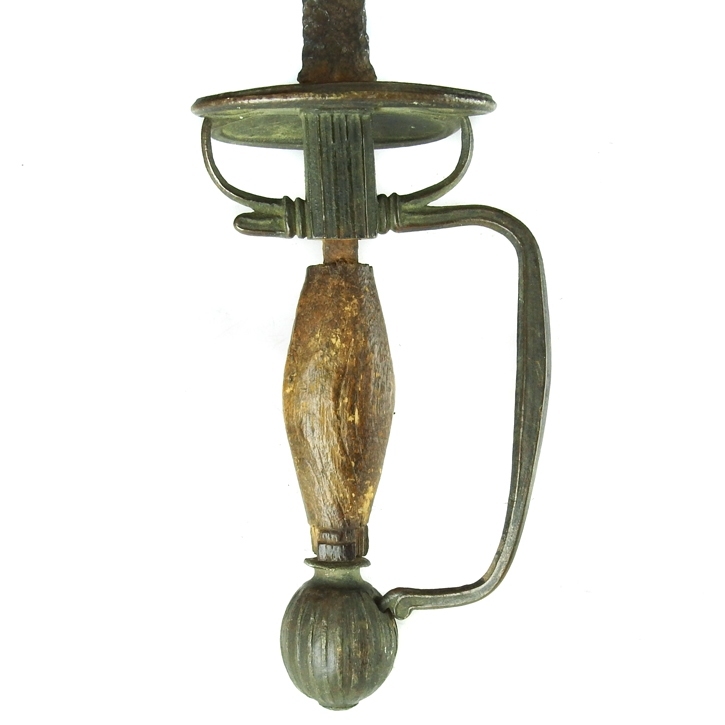 French small-sword (also called a court-sword, walking-sword or town-sword) with iron blade and wooden grip, pommel, squared D-shaped knuckle guard and shallow figure-eight counterguard. 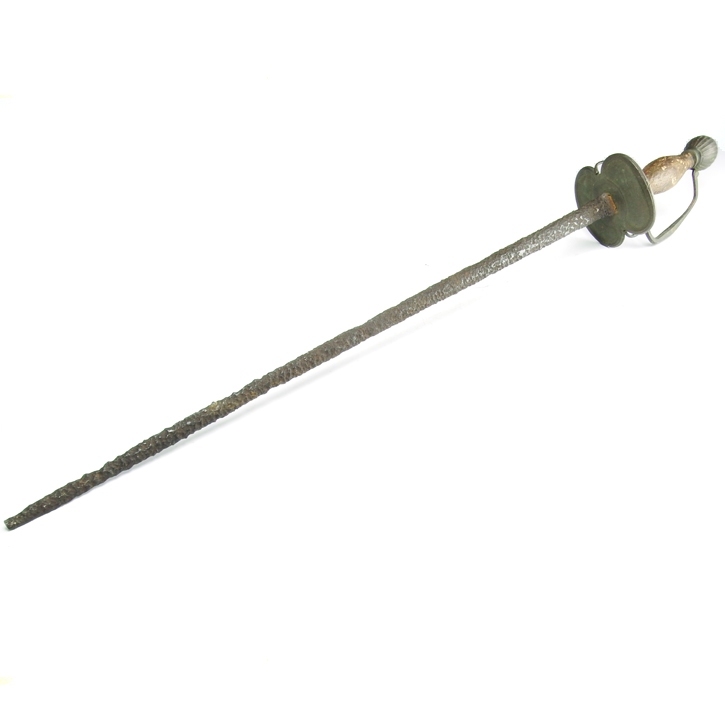 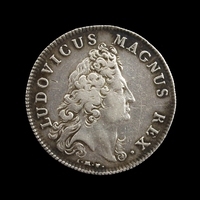 The small-sword is much shorter in length and lighter in weight than its predecessor the rapier. 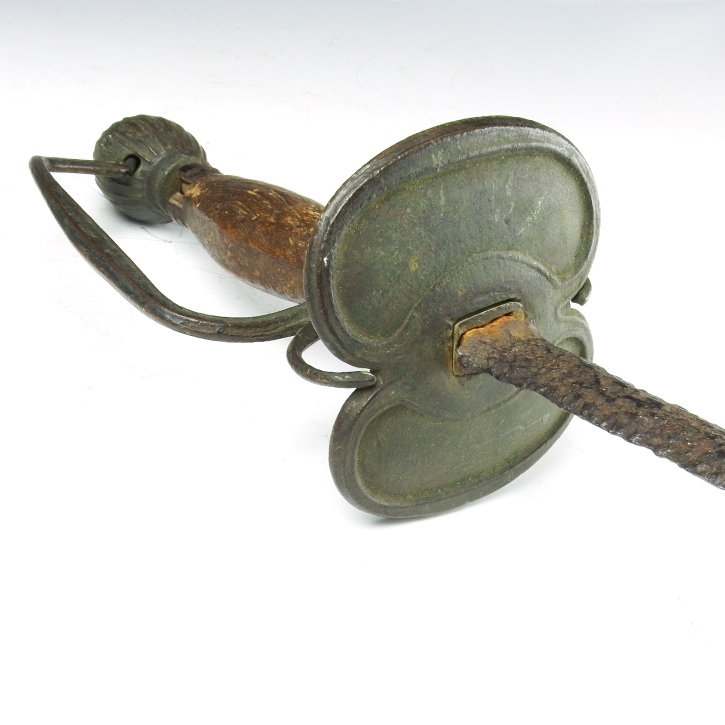 The length of this small-sword indicates this is possibly a practice sword for a young adult.